AutomotiveDesignClub International - FT-1 IN PROGRESS AS FUTURE TOYOTA (with BMW) SPORTS CAR. 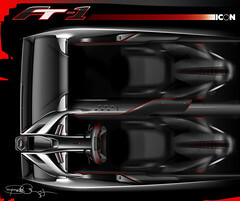 FT-1 IN PROGRESS AS FUTURE TOYOTA (with BMW) SPORTS CAR. Confirmation that Toyota is progressing with the sports car being developed in association with BMW is coming these days from both Japan and Germany. In the past three years, BMW and Toyota have made repeated public announcements about their joint technology development programs for hybrid and Fuel Cell propulsion system and last year they agreed to also look at the joint development of a sport car platform. Reportedly the project has confirmed its feasibility and two sports car of different character are in the pipeline, although still far from official unveiling. Unofficial sources suggest BMW will first use the shared platform for the next generation Z4 roadster (Z5) whereas Toyota sources say the shared body composite structure and production platform will give life to the next generation Supra coupé which design will be developed from the FT-1 (for Future Toyota One) designed in California at Toyota's Calty design studio and first unveiled at the Detroit Show last January. In Turin, Italy, there have been rumours about production of one of both models to be entrusted to Pininfarina but no official information has been released so far. Scale of economy and technology transfer suggest production of the body structure will take place at BMW's plants in Germany and it would make sense to have the car completed by a famous Italian coachbuilder dedicated to small production volume. Lifetime Achievement Award for Marcello Gandini. 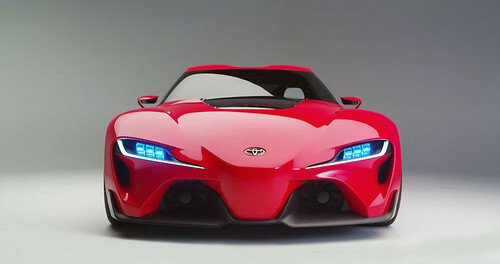 You are here: Home News & Facts Tomorrow FT-1 IN PROGRESS AS FUTURE TOYOTA (with BMW) SPORTS CAR.